Want to get in touch with us or have a tip you’d like us to be aware of? We’re open to all feedback and suggestions on how to build the best website that fits your needs. Please direct all emails to tips@tekunoloji.com. PR: Please direct all emails to raymond@tekunoloji.com with “[TEKUNOLOJI]” in your subject line. For all other inquiries on other publications Raymond writes for, please include the appropriate publication(s) you wish to pitch your products/ideas at. Advertising: Tekunoloji is now accepting advertising partners. Send email to raymond@tekunoloji.com with “[TEKUNOLOJI ADVERTISING]” in your subject line. We would be happy to discuss opportunities for you to display ads on our website. I will try to respond to every email, but a reply isn’t guaranteed, so pitch hard and right and you might get lucky. If email is too archaic for your fast-paced needs, you can also follow us on Twitter and on Facebook. 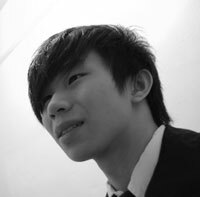 Raymond Wong is a New York City-based technology reporter, journalist and blogger. He’s been covering the rapid-firing technology space since 2008. He lives and breathes technology and gadgets. Aside from being the founder and Editor-in-Chief of Tekunoloji he also writes for Syfy’s DVICE, Ubergizmo and of course, he tries to be funny and informative on his Twitter. His writing’s also appeared G4 and his videos are embedded on Syfy’s Xbox Live app for eternity. That’s not all, because Raymond’s also appeared on Canada’s Braincandy radio show/podcast with host Shaun McMahon here (talking about holiday gifts) and here (talking about DSLRs). An iPhone 4 owner, gamer-at-heart (he digs portables the most), and an amateur photographer, he loves to get creative and mess with any and all new gadgets, toys, retro electronics – you name them. He’s been known to get a bit flustered over old mechanical typewriters. When he’s not prowling the Internet for the latest tech news, he can be found walking down the many streets (preferably old cobblestoned ones) of Manhattan.